I am still trying to figure this whole blog-thing out. Soon I will have fascinating information for you right here on my very own blog. 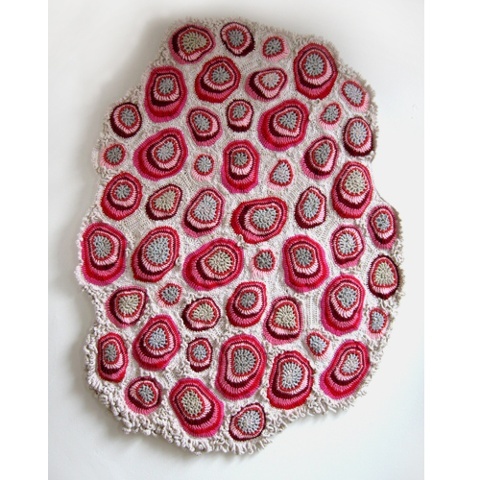 For starters I am featuring a piece by fiber artist Emily Baretta. Her work is organic, labor intensive, and an inspiration to me. What to expect from me in the future? Posted on January 11, 2013 by carolnesper. This entry was posted in Artwork, Emily Barletta. Bookmark the permalink. I am so Excited to see what you will create her, my old friend. I also love love love the Emily Baretta! Thanks Karen! Great to hear from you.